You usually don't have to worry about refuelling with DriveNow. Simply jump into your BMW or MINI, enter your PIN and set off. However, if your tank is less than 25% full at the beginning of your trip or falls below this level during your rental, you can benefit! If you fill up the car at a partner Shell fuel station (using the fuel card provided) and return it with more than 90% left in the tank, we’ll credit your account with 20 bonus minutes* as a thank you. Find your nearest Shell petrol station in the app by using the Search option and tapping the fuel icon. 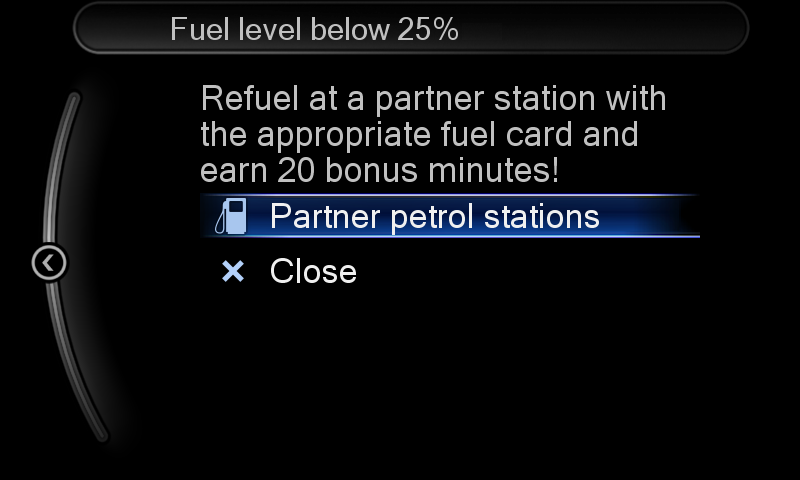 You can also select Special points of interest on the in-car display menu to display petrol stations nearby. When you arrive at the petrol station, turn off your engine and select Refuel. The fuel card PIN required to pay is displayed. 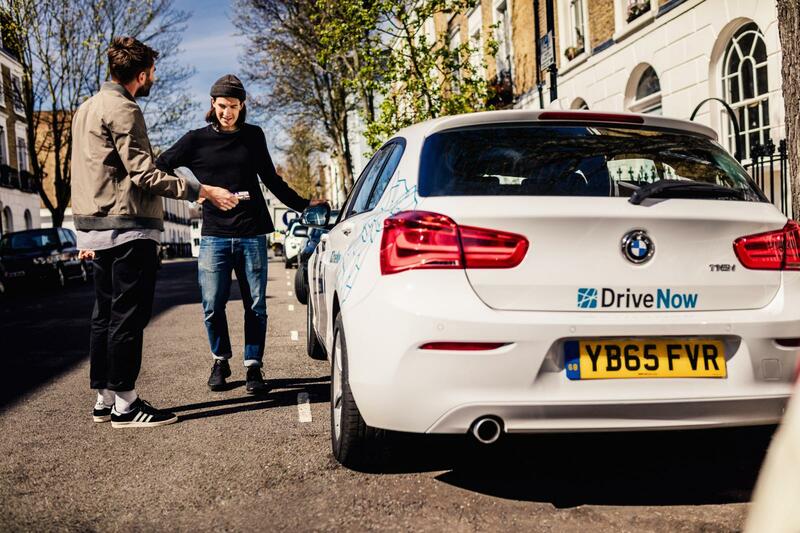 Please lock the car with the DriveNow app or customer card when you get out. The fuel card is located in the centre armrest in all cars. Enter the PIN code when you pay. If the attendant asks you for the mileage, you can enter any number. Then simply unlock your car with the DriveNow app or customer card and set off again with a full tank and some bonus minutes in the bank! If you need help during the refuelling process, just tap Refuel in the app to find all instructions (including the fuel card PIN!). 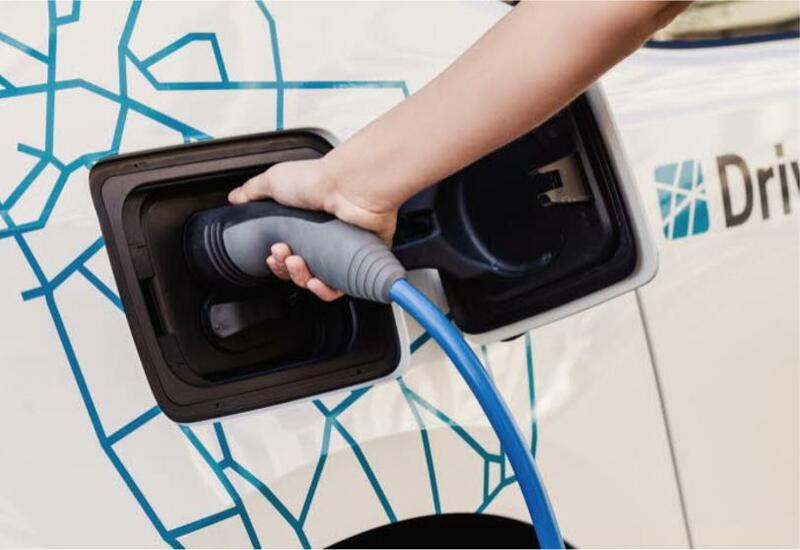 *Refuelling and recharging bonus minutes are valid for 3 months from date of allocation and will expire automatically.